Looking to use top quality CBD in the convenient form of a vape? 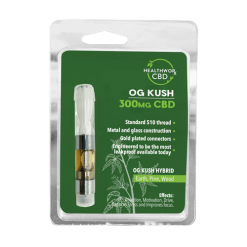 Try a CBD Vaporizer Pen Cartridge from our site. We offer high quality products at a fair price. 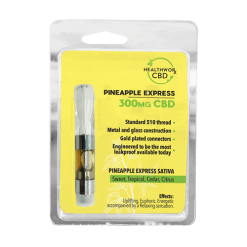 Below, we review all the details of our Pineapple Express strain of the CBD Vaporizer Pen Cartridge. 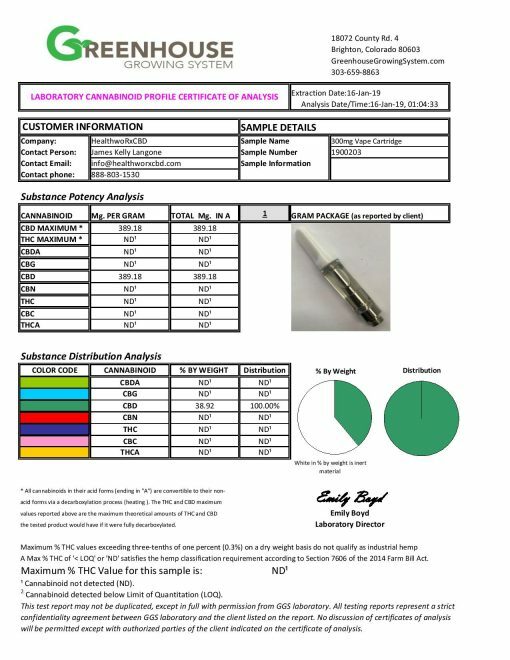 The CBD Vaporizer Pen Cartridge is not refillable. You should discard each CBD Vaporizer Pen Cartridge when it is empty. This will help to ensure optimal safety and performance. Note that this cartridge is compatible with any 510 style battery. However, voltages that are too high may damage the cartridge. In the same way, voltages that are too low may not properly vaporize the oil. Use these types of battery voltages at your own risk. Please note: Your CBD Vaporizer Pen Cartridge will have a small air space at the top and may not appear to be full. Do not worry. This is normal. The small space is due to the oil being pulled into the wick after filling. Rest assured: we ensure that each cartridge is filled to capacity during manufacturing. Though you may see what appears to be an air bubble in the packaging, you are getting the full amount that we advertise. We want you to enjoy your CBD experience and come back to purchase from us again. That’s why we ensure that all the products we offer are top of the line! We offer our CBD Vaporizer Pen Cartridge in a wide selection of natural plant terpene flavors. Each of these terpene profiles offers a different set of common characteristics. They may have different effects and have different scents and flavors. To learn more about this specific CBD Vaporizer Pen Cartridge strain, read on. Pineapple Express is one of the most popular and well known strains of cannabis. Maybe that’s due to the fact that there was a movie made with the same name! But what makes this strain so special? What is its claim to fame, and why do people love it so much? Read on to learn what Pineapple Express terpenes in this CBD strain may be able to do for you. Pineapple Express is a sativa dominant hybrid strain. It’s a hard hitter and delivers a powerful buzz. The burst of energy and creativity it provides makes for productive and inspiring sessions. Common uses: People often turn to Pineapple Express for a little help getting their ideas off the ground or putting a little pep in their step. However, it may also be useful to those seeking relief from depression, stress, fatigue, headaches, and pain. Want to learn more about the different strains available to you in the form of a CBD Vaporizer Pen Cartridge? 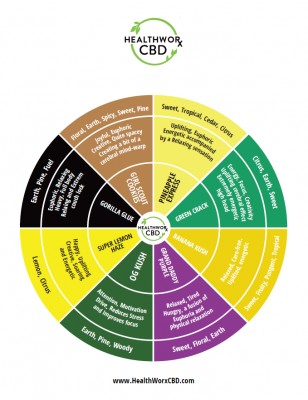 Check out our STRAINS WHEEL for more information on strain options and benefits. The wheel may provide assistance in choosing which strain may work best for you. Whether you want something tropical and fruity or woodsy and musky, there is a strain out there for you. Of course, remember that the strains of our CBD vaporizer pen cartridge are from terpenes. These terpenes do not derive from cannabis but rather come from plants. However, we designed them to mimic the strain profiles of popular strains of medical marijuana. Thus, they may provide a similar sensory experience. 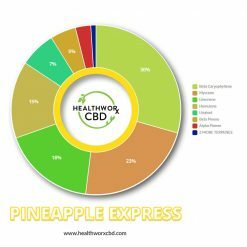 Wondering how to use your Pineapple Express CBD and ensure you get the best possible experience? 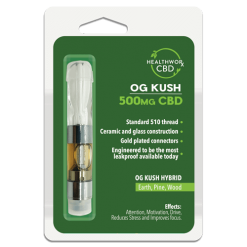 Here are a few pointers when it comes to the best way to use your CBD Vaporizer Pen Cartridge. First, you will need to remove the protective cap from your oil cartridge. You can then screw it into your battery. Note: A battery is not included with this CBD Vaporizer Pen Cartridge. You must own your own vape cartridge battery. For best results, we recommend that you charge your battery fully before using it. Preheating your Pineapple Express CBD warms the thick and viscous oil before use. This may help it to work better. To do this, push and hold the button on the CBD Vaporizer Pen Cartridge. Allow it to warm the CBD oil for about three to five seconds before you inhale. You can release the button to reset the timer before you inhale, or just go ahead and inhale. After the oil is preheated, continue to hold the button while drawing the vapor gently through the mouthpiece. You can continue to draw for another second or two after you release the button in order to pull the last bit of vapor from the cartridge. There is no need to hold the vapor in your lungs for any extended amount of time. You can exhale normally and you should feel the calming effects of the cannabinoids and terpenes within a minute or so. You can safely take several doses in succession if you feel you need more. However, don’t push it too hard until you know how your body will respond. Your goal should always be to find the minimum effective dose of CBD that will help your condition. When your cartridge is empty, simply unscrew it and throw it away. Then, go to our website and order a new cartridge. It may be a good idea to stock up before hand so that you don’t find yourself without a dose of CBD available. When you notice your CBD Vaporizer Pen Cartridge running low, head to our site to place your order so that it comes in time when you need it. Why opt to vape CBD instead of take it in some other format? In short, the answer lies in bioavailability. This long word stands for a relatively simple concept. Bioavailability basically means the amount of CBD that is available to your body biologically. 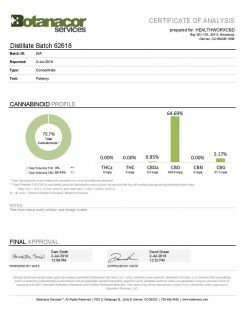 On a cellular level, how much of the CBD you ingest actually makes it to your blood stream and is therefore able to work its magic? The amount of CBD that your body can use is what we call bioavailability. Some forms of CBD offer higher levels of bioavailability than others. When you ingest CBD by taking it in an oral route, the bioavailability is pretty low. That’s because when you swallow a CBD pill or put CBD isolate in your food, the CBD first has to go through your digestive system. Your body processes it and passes it through the liver, which is a powerful filter. 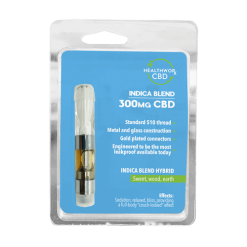 By the time the CBD makes it to your blood stream, much of its power and potency is lost. However, when you vape CBD, you get a rather high level of bioavailability. 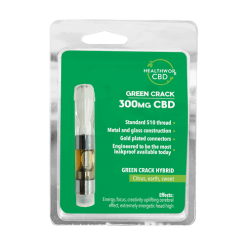 By vaping CBD, you provide the potent plant substance a direct route to your lungs. From there, it gets to your blood stream quickly because your lungs are full of tiny blood vessels and capillaries. Thus, when you vape CBD, you get a more powerful hit of it. But that’s not all. By vaping CBD, you can experience its benefits more quickly. The onset is fast since it goes straight to your blood stream. You don’t have to wait hours to start feeling relief. When you vape CBD, you will start to feel its effects immediately or within mere minutes. That’s why many people like to vape CBD using a CBD Vaporizer Pen Cartridge or something of the sort. Vaping provides the user the highest and most optimal bioavailability and also delivers a speedy and powerful onset. 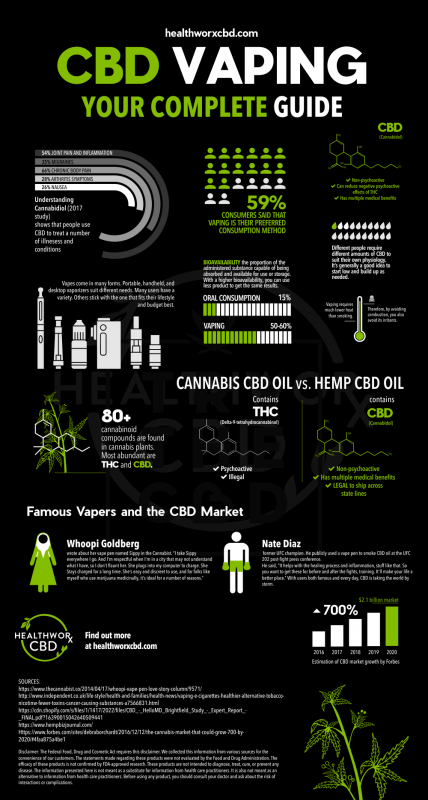 Read more about benefits of CBD Vapes here. those looking for a quick and effective way to administer CBD. 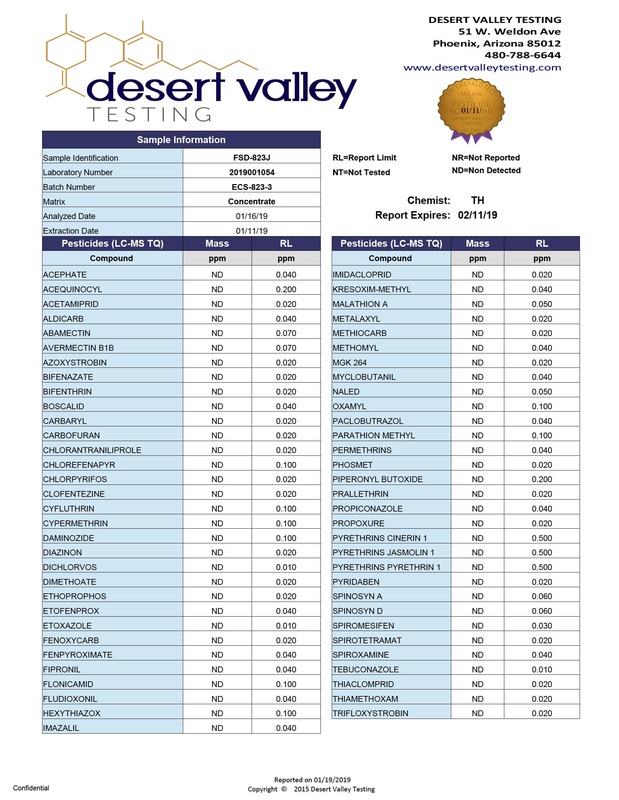 Temper is the most suitable terpene-based carrier product available.